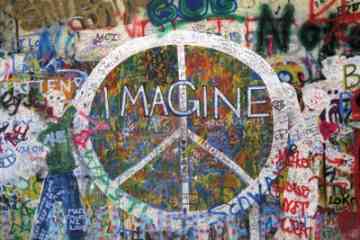 Wall of graffiti poster that features "Imagine Peace" in the middle. This poster would look great on your wall. Poster measures approximately 24" x 36".